How much should you budget for your trip to Spain? With the weak euro, you won't need to be as careful as in the past to avoid spending a large amount of money. It is easy to travel cheaply in Spain without compromising your vacation. Read on for some example prices so you can work out how much to budget for on your trip to Spain. How Much Do Costs Around Spain Vary? Madrid and Barcelona: Similar to each other. 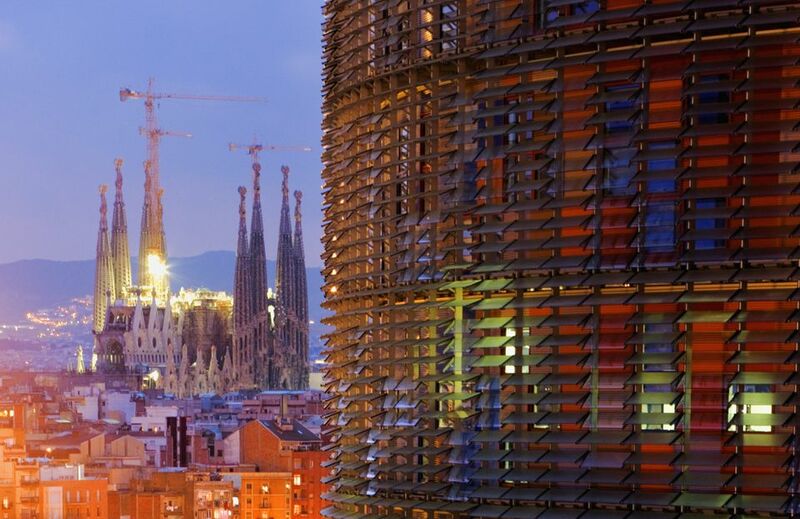 Barcelona will be a bit more expensive in the touristy areas, but a little effort will reward you with lower prices. Prices below are all for Madrid and Barcelona. Rest of Spain: Cheaper than Madrid and Barcelona. For a bed in a dorm in a youth hostel, expect to pay between 13€ and 24€ per night. For a double room in a pension, double that. For 70€ per night, you will get a very nice room. A baguette and a drink for lunch will cost about 5€. A three-course 'menu del dia' can cost anything from 6€ to 15€. A la carte meals are more expensive, but you can still eat well for under 20€. Spain can be hot, depending on the season. Factor into your budget the need to buy water and stop for a cool drink occasionally. Total Food Budget Per Day: 15 to 40€ (if you eat lunch from a supermarket you can eat even cheaper). But don't take our word for it. Numbeo, a cost-of-living comparison site, gives restaurant prices in Barcelona (it gives very similar figures for Madrid). Museums and art galleries can vary greatly from completely free to about 10€. If you plan on visiting a lot of museums, you may be interested in a Spain Discount Card. But make sure you are getting your money's worth! Long distance buses and trains: Long distance buses are typically half the price of the train, with journey times approximately 30 percent longer. The bus is much better valued than the train, but it can be quite difficult to book as the Spanish bus network is split up into a number of different companies. You will rarely pay more than 30€ for a bus, but you can pay over 70€ for an economy-class train ticket (sleeper cars and first class tickets will set you back even more). But not always. Never book your bus or train without checking the price of the other first. Metro and City Buses: Travel within cities in Spain is cheap. A bus or metro ticket rarely costs more than 1€ and there are usually saver tickets that can make them even cheaper. Read about the Madrid Metro and the Barcelona Metro for more information on these tickets. You can conveniently buy your Madrid Metro tourist pass before you arrive for the same price as if you got it at the station. Taxi: A 10-minute journey in a taxi in Spain will usually cost about six or seven euros. They should use the meter. If you feel you have been overpriced, ask for a receipt—there will be details of where to complain about the back. When going to or from the airport, check the price before you get in. There is a fixed price for more airport trips. Check with a different taxi if you think the price quoted is too high. As one taxi driver told me, there are very few bad taxi drivers in Spain, but those that do exist all work at the airports.